Mediation is the key to success! 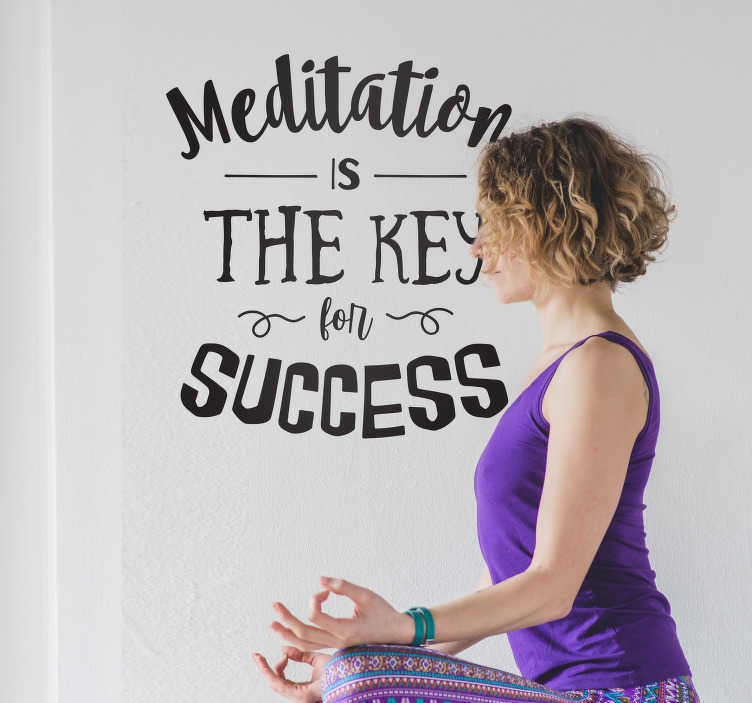 A philosophy followed by many across the world as they use some meditation time as a way of escaping the stresses and strains of modern life; if you are one of those people then why not decorate your home with this fantastic wall art sticker depicting that very quote! Perfect bedroom decor for those who just love to find peace here and there!